Pick up your badge and conference materials here. If you didn't sign up for the Friday evening party at Carrie Furnaces or Sunday breakfast at Phipps Conservatory, there might still be room. Check with registration and sign up there. Sign up here for Saturday mini-tours and beat dinners. Read up on Board candidates, find information about SEJ Award winners, membership and services. Don't miss the wealth of information offered by the 2017 exhibitors. Learn about environmental issues and innovations, journalism fellowships, see some great displays and add to your source list. The UPitt bookstore is on site to sell SEJ members' and speakers' books, as well as offering environmental books handpicked for the SEJ conference. Browse the exhibits or choose a discussion table on a wide range of timely topics and reporting tips or pick up your breakfast in the ballroom and join the academic session below. Discussion tables begin at 7:30 a.m. Underwater, out of mind. Throughout the U.S., but especially in the southeast and southwest, our freshwater species are disappearing at record paces — and few people are noticing. Fish, mussels and numerous other species are affected, as are the species that depend on them. What’s causing this crisis, and what (if anything) is being done to turn it around? Co-chairs Emilia Askari, journalist and educator at the University of Michigan, and Brian Bienkowski, editor of Environmental Health News and The Daily Climate, host a table discussion brainstorming on next year’s conference tours, panels, speakers and more. In January 2018, George Mason University Center for Climate Change Communication will partner with SEJ, RTDNA, NAHJ and NABJ to survey their member's views about climate change and about reporting on climate change. In this breakfast conversation, SEJ members can provide the lead researcher with input on what they would like to learn from this survey. This important input will be used to develop the survey questions. There are no federal and very few state regulations requiring periodic inspection of schools for contamination. The U.S. EPA has found that one out of every three K-12 schools are polluted. This discussion will look at the kinds of pollution that exist, their impact on learning and health, and demonstrate some tools that students and others can use to make the invisible contamination visible. Looking to learn something new? Hoping for a chance to reflect while not facing daily deadlines? Come find out what a fellowship can do for you. Join the directors of the Metcalf Fellowship, CUNY’s Resilience Fellowship, Marquette University's O'Brien Fellowship and IJNR for a rousing discussion. 6. So You Want to Write a Book? Veteran newspaper editor and college professor Don Corrigan will share his knowledge on all aspects of writing an environmental book with emphasis on how to pitch a book project to publishers and how to market the book once it is published. Corrigan has authored six books, his most recent being, “Forest Park: Images of America,” which required historical research and special attention to copyright issues related to use of photography. He also has written three books on the environment and the outdoors. 7. Won’t You Be My Mentor? Receiving an Emmy Award for Lifetime Achievement, Pittsburgh’s Fred Rogers of "Mister Rogers Neighborhood" asked the audience to take 10 seconds “to think of the people who have helped you become who you are.” Some of those people are called mentors, and SEJ has them in abundance. If you’re new to the SEJ neighborhood, or have been around for a while but want to try something new (writing a book or breaking into a new market, for example), SEJ’s Mentor Program might be for you. It’s a free matchmaking program that pairs “mentees” with veteran journalists for year-long partnerships. Come learn how a mentoring relationship can help you sharpen your pitches and expand your skills. We’ll also talk about opportunities to co-report stories outside the United States. Sneakers and cardigans optional. Hear the story of the world's first successful restoration of a seabird to an island where humans killed it off. The Atlantic puffin in Maine represents both a feel-good story of conservation and a dramatic new warning about the rapid effects of climate change in our oceans. The National Geographic Society pushes the boundaries of exploration to further understanding of our planet. We invest in bold people and transformative ideas in the fields of conservation, education, research, storytelling and technology. Our goal is to identify, cultivate and develop the world-changers of today and tomorrow. Our grant recipients are — and have always been — the heart and soul of what we do. These leaders are National Geographic Explorers. National Geographic representatives will be on hand to discuss our funding opportunities for storytellers. With the unprecedented amount of rain from Hurricane Harvey across Houston and other communities, this storm will go down as one of the most destructive to strike the United States. Less than two weeks later, Hurricane Irma became the most powerful Atlantic storm ever witnessed, followed almost immediately by the equally destructive Hurricane Maria that devastated Puerto Rico. As Congress helps the affected communities to recover, the conversation will also turn to the reform of the nation’s flood insurance program. We’ll talk about the need for a stronger financial footing for the program, as well as what changes may be necessary to keep it solvent. Meanwhile, a December 8th deadline is looming to extend the program. Journalism programs usually reflect a mix of traditional academics with doctorates — and little, if any, professional experience — and former professionals who move to the classroom for a variety of reasons, including downsizing by their news organizations, desire for a career change and hopes for more stability and more regular working hours. Challenges include designing new courses and adapting other instructors’ courses, balancing teaching and research responsibilities, remaining current with changes in the media world and evaluating student work. This transition and the change in workplace cultures can be difficult, however, and there’s often little guidance or mentoring for new faculty arriving from the profession. Our panelists will share advice and best practices based on their own successful transitions, as well as guidance on continuing professional work as a freelancer while teaching full-time. Coverage. Covering the administration has never been easy, but now we're dealing with a president who calls mainstream media the enemy; increasingly opaque and off-the-record federal agencies; a polarized, distrustful audience; and a rising tide of fake news. How are journalists navigating this new landscape? How do we better equip ourselves for the current reporting era? Coverage. The Climate Matters program that has successfully helped hundreds of TV meteorologists become key sources of local climate information is expanding further into the newsroom, providing a wider range of journalists with localized climate reporting resources and training. Supported by the National Science Foundation, the project aims to increase the quality and quantity of reporting on climate change science, impacts and solutions. Climate Matters partners include SEJ, NASA, NOAA, AMS, RTDNA, NAHJ, NABJ and the Kneeland Project. This press conference will introduce the Climate Matters program to SEJ members and seek their input on the resources they need to enhance their climate reporting. Skip the email black box and send your finely tuned story pitch directly to editors’ ears at SEJ’s annual pitch slam. Present your 90-second proposal for a story — never a topic! — to a panel of editors who work with both news and features. You’ll receive instant gratification (and maybe even an assignment) when they give you immediate feedback tailored to your pitch. Freelancers of all stripes will gain insight into what it takes to get these editors’ attention (including their email addresses), the do’s and don’ts of pitching their publications and, of course, how much they pay. Reserve your spot on a sign-up sheet at the start of this session. Note: this session will not be recorded and attendees are expected to keep others’ pitches confidential. Getting interviews and answers to questions from federal, state and local government has been getting tougher and tougher for some time now. But the advent of the Trump administration may be taking that lack of openness to a new level. This session brings together a former EPA public affairs officer, an enterprising investigative journalist and the chair of SEJ’s Freedom of Information Task Force to explore the use of the Freedom of Information Act and other methods for ferreting out stories when PIOs seem more intent than ever in spinning the news and blocking reporters’ access to meaningful information. Coverage. "Top Tips for Getting Around the Press Office" from Joe Davis, Jamie Smith Hopkins and other panelists. EPA Leakers' Guide (four parts), by Joe Davis. How To File a FOIA Request, by SEJ FOIA Task Force. This summer, one powerful example of "doomsday" reporting captivated the public, while another proved eerily prescient. David Wallace-Wells’ New York magazine story on the worst-case scenarios posed by climate change nabbed more than 3 million readers in just two weeks, making it the most-read article in the publication’s history. A couple months later, Hurricane Harvey hit Houston, resulting in some of the exact scenarios predicted a year before in a prescient ProPublica/Texas Tribune investigation. We'll look at these and other examples of journalists trying to sound the alarm, and examine how gloom-and-doom narratives affect public consciousness and preparedness, especially when it comes to existential threats like climate change. And we'll ask: How can we tell these important stories ethically and effectively? Coverage. Jennifer Jacquet, Assistant Professor of Environmental Studies, New York University and Author, "Is Shame Necessary?" Renee Lertzman, Psychologist and Author, "Environmental Melancholia: Psychoanalytic Dimensions of Engagement"
The 2016 water crisis in Flint, Michigan focused international attention on the issue of lead poisoning. In response, many cities, schools and homeowners rushed to test for lead in various things, from drinking water to soil to children's blood. Sadly, many of these tests revealed unhealthy levels of lead similar to those found in Flint — and even higher. This freshly exposed lead problem provoked increasingly urgent calls for change in the way the nation tries to protect people from exposure to this potent neurotoxin. We explore the latest developments in the lead story, from the perspectives of academic experts and journalists doing exemplary work on this compelling story that touches nearly every older city in the world. Some historians attribute the fall of the Roman Empire to lead drinking water pipes similar to the ones that leached lead into the stuff flowing from Flint's faucets. Coverage. "It's a hoax!" "It's not as bad as you think!" "We don't know how much is human-caused!" "Fixing it would destroy the economy!" Over the years, those opposed to taking action have danced a careful dance between climate change denial talking points. The Trump administration has spawned new shifts in rhetoric to match its assault on climate action and on science in general, and understanding that "denial" isn't just one stance is an important step toward countering it. With perspectives from reporters as well as the advocacy and academic worlds, this panel will discuss the changing face of climate denial and how journalists should approach surrounding stories — debunk or ignore? Establish "belief" or focus exclusively on policy? How should reporting and writing change to better inform people how these various forms of denial — especially versions that don't sound like outright head-in-the-sand contradiction — are just branches on a tree of misinformation? Coverage. How is the effort to promote access to healthy habitat evolving in Native American communities? The indigenous-led resistance to the Dakota Access Pipeline has attracted clean energy and climate justice advocates, pointing the way to construction of environmentally-friendly, community-based alternatives to some of the most pressing socio-economic stumbling blocks of our times. The DAPL conflict at Standing Rock is only the most visible front of many battles in defense of clean air, water and land that have been ongoing in Indian country throughout this generation. Leaders of the struggle to protect Mother Nature and on-the-scene journalists will discuss the movement’s peculiarities and their implications for change. Coverage. Environmental crime is now the world’s fourth largest crime sector, estimated by UNEP and Interpol to be worth more than $250 billion each year. Criminal networks — drug cartels, money launderers and terrorist groups — are trafficking natural resources, including timber, fish, minerals and wildlife, in dramatically increasing numbers. Panelists will discuss how to report on and prosecute illegal trade in natural resources, which not only degrades the environment, but also endangers vulnerable communities around the world and threatens our national security. Coverage. Controversy over fracking has spilled onto a new battleground: natural gas pipelines. Pipeline companies are proposing to build many thousands of miles of new lines around the country to transport fracked gas. Climate activists, emboldened by protest over the Dakota Access Pipeline, are fighting these projects, arguing that we should keep fossil fuels in the ground and not build infrastructure that would lock in their use for decades to come. Landowners and other locals along pipeline routes, including conservatives who oppose use of eminent domain, are also opposing many of the projects. How are these fights playing out on the ground? What light can science shed on pipeline controversies? Does natural gas have a role to play in a clean energy future? What do journalists need to know to report the whole story? Coverage. We slog through workdays, late nights and weekends to not only get stories, but to get them right. 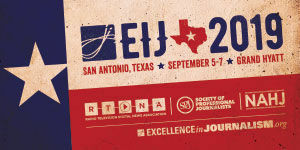 Watch all that effort pay off at SEJ’s Annual Awards for Reporting on the Environment. 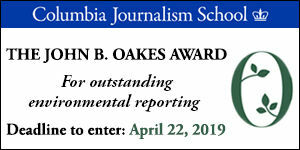 After the ceremony, a panel of winners will take the stage to discuss the future of environmental journalism. What does it look like? Who will tell the stories of our time — and through what perspective? We'll have a provocative conversation about the next 20 years through the lens of diversity, freelancing and resources. Coverage. For SEJers thinking of writing a book — or already at work on a proposal — the popular Book Author Pitch Slam is back with three editors who have keen interest and experience in our genre. We’ll open with tips on what subjects and stories publishing houses are looking for these days. Then, SEJers with a book idea will have two minutes each to pitch the panel. Editors will critique the idea as well as the pitch, sharing helpful suggestions — and maybe their business cards. This is a popular session and a rare opportunity for a direct audience with book editors, so advance sign-up is required for a pitch (which you are strongly encouraged to craft in advance; two minutes is about 200 words). Email the moderator, cynthiabarnett@gmail.com, with a working title to secure your spot. Those not pitching are welcome to attend with the caveat that this is a confidential session. It will not be recorded. Moderator: Cynthia Barnett, Journalist and Author, "Mirage," "Blue Revolution" and "Rain: A Natural and Cultural History"
This session will give an overview of how Google’s tools can help you research stories, fact-check, find what’s trending and locate useful datasets. The workshop will highlight: advanced Google Search techniques, Google Trends, Google Public Data Explorer and more to ensure you’re covered on how to fully uncover things. Coverage. A majority of US adults — 59 percent — say that journalists should stick to simply reporting the facts. But, as this session will make clear, there’s nothing simple about fact-based reporting. How you report the facts can lead people to draw wildly inaccurate conclusions. 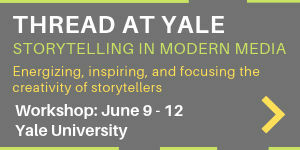 By drawing on expertise from journalism, academia and activism this session will focus on how to best craft environmental stories in ways that resonate with people who aren’t necessarily the traditional audience for environmental journalism stories. Coverage. Shanti Gamper-Rabindran, Associate Professor, Environment/Energy/Development Economics, Graduate School of Public and International Affairs, University of Pittsburgh and Editor, "The Shale Dilemma: A Global Perspective on Fracking and Shale Development"
President Trump, as a candidate and in office, promised to decimate the federal regulatory apparatus. He has promptly set about the task of doing just that. His Cabinet appointees talk of a new era of federal-state relations and a refocusing on "core principles." What, one might ask, does this mean in practice? Can such a de-regulatory agenda, against the bulwark of law, even stand? This session will address topics such as the proposed repeal of the Waters of the U.S. rule, the meaning of cooperative federalism, the fallout from budget cuts and more. It will help reporters understand the local consequences, for water resources, of the tumult in Washington. Coverage. As the Trump administration works to undo Obama-era regulations, what role will federal and state courts play in addressing climate and energy policies? Many states and environmental organizations are already turning to the courts to slow or block the reversal of regulations. More actions will follow. And then there’s the existing docket of cases seeking to clarify the government’s authority and duty to regulate climate change, including industry lawsuits and even the novel public trust action filed by a coalition of children and their guardians. This session will examine prospects for pending lawsuits, what types of suits to expect and what options are available to the courts. Coverage. As environmental protections come under attack nationwide, how are low-income and minority communities most vulnerable to environmental degradation affected? What are frontline communities doing to protect themselves in an era of decreased enforcement and rollbacks of environmental safeguards, and how are reporters shining a spotlight on cases of environmental injustice as they occur? Coverage. Can DNA Editing Save Species? Before CRISPR came along, scientists couldn't force specific genetic changes throughout an entire population. This set of biological editing tools can change or delete any stretch of DNA, and every altered individual passes the new gene on to its offspring, and so on. We'll discuss how scientists are considering using gene-drive technology to aid conservation, including wiping out invasive rodents on islands, eradicating malaria-carrying mosquitoes that are devastating Hawaiian birds and more. We'll go beyond the possible conservation challenges that the technology might help address and explore the regulatory and ethical issues surrounding its use. Coverage. Can We Afford Nuclear Power? It's been a tough few years for nuclear power in the U.S. with the failure of Westinghouse, cancellation of the construction of a South Carolina nuclear plant and announcements of plant closures. Still, two states recently enacted legislation to provide financial support for atomic plants, which are under pressure from cheaper natural gas, because of their near-zero carbon emissions, and nearly another two-dozen states are considering similar measures. Panelists will discuss the carbon and financial costs of nuclear and competing electricity sources to give journalists a better understanding of the debate gaining traction in states across the U.S. Coverage. Doug Koplow, Founder, Earth Track, Inc.
All are welcome for the Annual Membership Meeting of the Society of Environmental Journalists. SEJ members, please attend to hear from candidates and cast your vote to fill open seats on SEJ's 2018 Board of Directors. Reports, Q&A and lively discussion of hot topics and future plans for SEJ membership, finance and programs will round out the hour. Original graffiti art created for SEJ at Carrie Furnaces, by Pittsburgh artist Shane Pilster. Buses depart the Wyndham Grand promptly at 5:00 p.m. from just outside the Benedum Room. Buses will make regular loops between Carrie Furnaces and the Wyndham Grand until final buses depart at 11:00 p.m.
We'll head out early for cocktails at the surreal Carrie Furnaces, an ironworks that is one of the last remaining parts of the massive, historic Homestead Steel Works, which produced the steel that built the Empire State Building, Gateway Arch in St. Louis and railways that spanned the nation. Before dinner, you’ll be able to tour the industrial site, part of the National Park Service’s Rivers of Steel National Heritage Area. Do not miss seeing the graffiti wall and “The Stag,” a 40-foot-tall deer head fashioned out of scavenged rebar, wire and cracked rubber hoses by a community of artists who sneaked onto the site after the furnaces shut down. Then get ready to rock the building, like it’s not been rocked since the iron furnaces roared. Dancing shoes required. Steel-toes optional. Pre-registration and $35 fee required. ** Music by No Bad JuJu.